Below is a round-up of Nickelodeon Italy's (Italia) programming highlights for July (Luglio) 2018! In anteprima esclusiva, solo su Nickelodeon, arrivano i nuovi episodi della terza stagione della serie animata A casa dei Loud. Questa serie racconta di quanto puo’ essere divertente e caotica la vita quando si è un ragazzo di 11anni come Lincoln, che divide la propria casa con ben 10 sorelle, una più diversa dall’altra. Riuscirà il nostro eroe a sopravvivere in questa giungla di famiglia? I gemelli Harper festeggiano la quarta stagione con nuovi divertenti episodi in anteprima esclusiva su Nickelodeon. Nicky, Ricky, Dicky, e Dawn Harper sono qua;ro gemelli con due sole cose in comune: il loro compleanno e i loro genitori. Al contrario sono quattro ragazzi unici con quattro personalità diverse, sempre pronti a combinare pasticci e a cercare di risolverli con un improvvisato gioco di squadra. 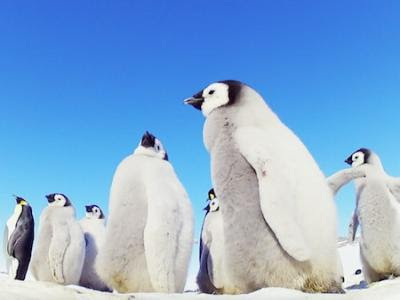 In arrivo una nuova serie prescolare, dove gli animali sono gli assoluti protagonisti, con una serie di incredibili video e clip, tutti esilaranti, che faranno scoprire ai bambini a casa curiosità e comportamenti dei nostri amici animali, di tutte le specie. 20 episodi inediti in arrivo su Nick Jr, che porteranno i bambini negli habitat naturali degli animali, scoprendone i segreti e facendoli amare sempre di più. Arrivano i nuovi episodi dalla quarta stagione: Blaze e il suo coraggioso pilota AJ sono pronti a vivere sempre nuove fantastiche avventure insieme ai loro amici, tra gare di velocità, nuove amicizie e missioni. Torna su Nick Jr la serie prescolare che porta tutti in pista, a tutta velocità! 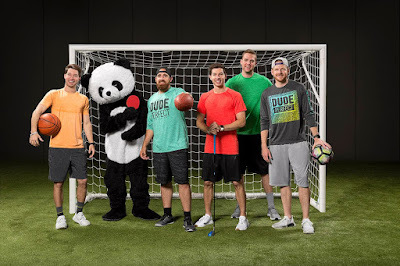 Sta arrivando su Teen Nick una serie tutta nuova, che ha per protagonisti cinque ragazzi e la loro mascotte che indossa un costume da panda. Divenuti virali in rete per una serie di video esilaranti, che proponevano sempre nuove sfide, sono in arrivo 20 episodi in cui si cimenteranno in sfide sempre più esilaranti e sempre più impegnative, in un vero e proprio game show. Con la partecipazione straordinaria di alcune star delle serie in live action di Nickelodeon, come Jack Griffo, che si troverà coinvolto con i Dude in una nuova versione del gioco del dodgeball. Su Teen Nick arriva la terza stagione di Drake & Josh, che segue le avventure di due fratellastri, con due caratteri completamente opposti, che si ritrovano a vivere sotto lo stesso tetto, costretti a fronteggiare Megan, sorella di Josh, che combina senza sosta scherzi e trappole ai loro danni. Di Più Nickelodeon: Nickelodeon Italy and Juventus F.C. Partner to Launch SpongeBob-Themed Summer Capsule Collection! Originally published: Saturday, June 23, 2018. Original sources: Digital-Forum /@Andry10k, Tuttogiocattoli; Additional source: Google Translate. Follow NickALive! on Twitter, Tumblr, Google+, via RSS, on Instagram, and/or Facebook for the latest Nickelodeon Italy, Nick Jr. Italia and TeenNick Italia News and Highlights! Nickelodeon Arabia will be treating fans to a summer full of fun when the number-one entertainment brand for kids brings the Nickelodeon Experience, where famous Nick characters will be brightening up the summer with very special performances, to Abu Dhabi this August! 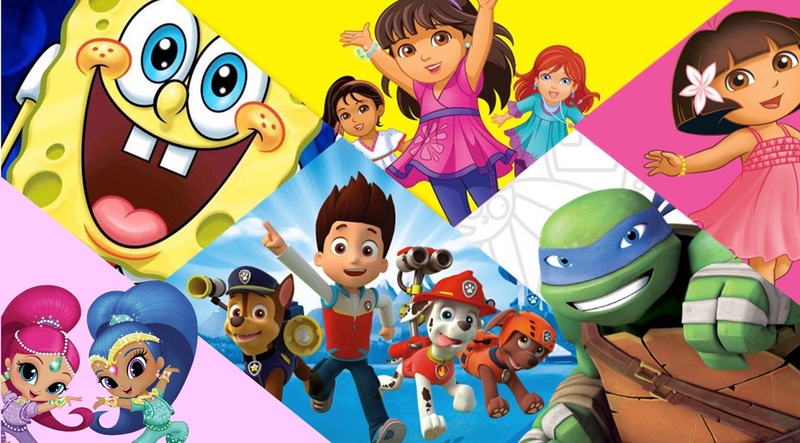 Nickelodeon has been part of everyday family fun for nearly 40 years, with Dora the Explorer, SpongeBob SquarePants, the Teenage Mutant Ninja Turtles and PAW Patrol coming out top as kid’s favourite characters worldwide. At the Nickelodeon Experience, presented by MBC Group, children can enjoy singalongs, meet and greets with popular Nickelodeon characters, including SpongeBob SquarePants and the heroic pups from PAW Patrol, and non-stop activities! The Nickelodeon Experience will take place between Monday 6th and Saturday 25th August 2018, as part of the 2018 Abu Dhabi Summer Season! For more information about the 2018 Abu Dhabi Summer Season, including a full itinerary of family friendly events and celebrations taking place across the emirate, visit https://visitabudhabi.ae. “We are excited to launch for the first time in the Middle East the concept of Nickelodeon World from the capital Abu Dhabi, a concept for all kids to enjoy shows and activities from their favourite Nickelodeon characters. A concept that will hopefully be available for all families that visit Abu Dhabi year on year,” said Imad Salibi, activations manager, MBC Group. More Nick: Nickelodeon Programming To Become Available In Iraq Via WAVO Following Partnership Between Arabia's OSN And Zain Iraq! Originally published: Saturday, June 09, 2018. Additional sources: Abu Dhabi World Online, GulfNews.com, ZAWYA MENA Edition. A brand-new mystery is in store for the Hunter family in the all-new second season of Hunter Street, premiering on Nickelodeon Latin America (Latinoamérica) on Monday 2nd July 2018 at 7:00pm on Nickelodeon México, Nickelodeon Argentina and Nickelodeon Colombia! Featuring new Hunter siblings, new secrets, and new surprises, Hunter Street season two will continue to air regularly weekdays at 7:00pm on Nick México, Nick Argentina and Nick Colombia. Fans can visit mundonick.com and the Nick Play app as well as follow @HunterStreetTV on Facebook and Instagram to learn more about the series and its characters. - Nickelodeon will announce news about Kids' Choice Awards Argentina 2018 on Tuesday 26th June 2018! Más Nick: Nickelodeon Latin America Announces Kids' Choice Awards México 2018 Pre-Vote Nominees! Originally published: Sunday, June 24, 2018. H/T: Huge thanks to Johel Rosales for the news! ; Additional sources: TVNIÑOS, Google Translate. Follow NickALive! on Twitter, Tumblr, Google+, via RSS, on Instagram, and/or Facebook for the latest Nickelodeon Latin America and Hunter Street News and Highlights! Get ready Siwanatorz, because JoJo Siwa is visiting Australia this July! For the FIRST TIME EVER, JoJo will be touring around the bow-tiful east coast of Australia, stopping in at Sea World on the Gold Coast, Westfield Parramatta in New South Wales, the Eastland Shopping Centre in Victoria! JoJo will perform three of her hit songs LIVE and to show off the latest in JoJo couture in her very own fashion parade at each stop along the way! The best part about her tour is that parents don’t have to stress about forking out the big bucks to pay for tickets because two of her three shows are free. Entry: Entry requires the purchase of a ticket to Sea World. CLICK HERE to buy now! “I'm so excited to be coming to Australia and can’t wait to meet and perform for my Siwanatorz. It’s going to be so much fun!” JoJo said in a statement. She’s famous for her vibrant big bows but during her tour she’s going to debut her new song ‘High Top Shoes’ as well as performing her other hit songs. The 15-year-old will also showcase her range of products from fashion to sleepwear, stationary, toys and accessories which means plenty of new hair bows. JoJo is renowned for spreading positivity and anti-bullying messages, particularly via her song Boomerang, which has attracted 526 million views on YouTube. On top of that she’s a famous face for Australian Nickelodeon viewers as the hype girl of Lip Sync Battle Shorties. 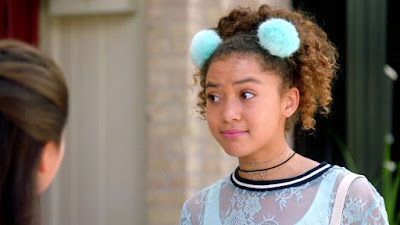 She’s also starred in in her own docustyle special JoJo Siwa: My World and featured alongside Jace Norman (Henry Danger) in TV movie Blurt!, as well as guest starred throughout School of Rock season three. For more information about Nickelodeon's "JoJo Siwa Live Show and Fashion Parade" tour, visit nick.com.au/jojo. For the latest Nickelodeon events in Australia and New Zealand, visit events.nick.com.au. "JoJo Siwa Live Show and Fashion Parade" is brought to fans by Nickelodeon Experiences. Do you want to win a VIP family pass to JOJO SIWA at Sea World? For your chance to WIN head to nick.com.au/jojo! More Nick: Nickelodeon Australia and New Zealand to Premiere 'SLIME CUP 2018' on Friday 29th June 2018! Originally published: Wednesday, June 13, 2018. 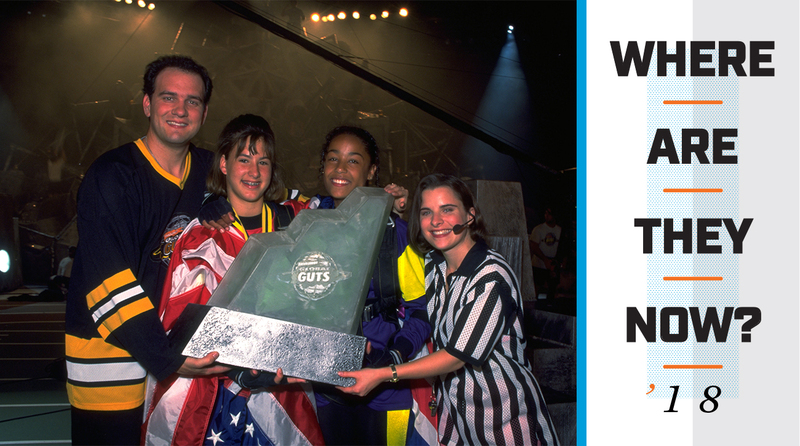 From the unique theme song to the daunting Aggro Crag, Guts was a chance for kids to live out their action sports fantasies. Two decades after its four-season run, the show's stars, winners and losers reflect on its lasting impact. In September 1992, Nickelodeon—known then for cartoons, late-night Mister Ed reruns and its signature green slime—launched a youth-oriented sports game show, Guts, that turned 10- to 15-year-old kids into high-flying, rock-climbing superstars. Dunking, surfing, midflight-bow-and-arrowing—all of it was possible with a seemingly endless supply of bungee cords. Contestants went head-to-head in extreme versions of everyday sports, winning somewhere between 300 and 100 points at each of three preliminary-round events. ... And then came the daunting Aggro Crag. For four seasons the show asked adolescent contestants, D-d-d-do you have it?! Now, 26 years after its debut, and with Nickelodeon staples like Double Dare returning to the small screen, Sports Illustrated spoke with Guts crew members, on-air talent and contestants about what made the show special, and how a mountain with a mind of its own captured the imaginations of children everywhere. Alyssa and Xavier are ready for 4th of July on this new episode of Summer Snackdown! Learn how to make your own fried macaroni and cheese balls to put on your summertime hot dogs! There's always room for dessert, so stick around for a bonus recipe for 4th of July fruit cups! Don’t forget to leave your mystery ingredient ideas in the comments on YouTube to see if they will be featured in next week’s episode! Catch more of your favorite shows on Nickelodeon, and visit nick.com/nick-summer for more awesome summer videos and games! Plus, check out Nickelodeon's awesome DIY series, DIY With Me! More Nick: How To Make A SpongeBob-Inspired Krabby Patty 🍔 | Summer Snackdown Ep. 1 | Nickelodeon! Follow NickALive! on Twitter, Tumblr, Google+, via RSS, on Instagram, and/or Facebook for the latest Summer on Nickelodeon and Summer Snackdown News and Highlights! Need a super cute place to keep your phone when it’s charging? Then be sure to watch this week’s episode of DIY With Me to learn to make your very own phone charging wall bed! And be sure to stick around for the end to learn how to make a unique unicorn phone case! More Nick: How to Make This Super Cute Jewelry 💎 Holder and Bracelet | DIY With Me Ep. 6 | Nickelodeon! Follow NickALive! on Twitter, Tumblr, Google+, via RSS, on Instagram, and/or Facebook for the latest Nickelodeon and DIY With Me News and Highlights! JoJo Siwa had at blast at VidCon 2018! Take an exclusive look at her fun-filled weekend between running the Double Dare obstacle course, getting interviewed, and performing her new hit song “High Top Shoes.” What was your favorite moment of JoJo’s VidCon weekend? Let me know in the comments below. Catch more JoJo and All New Double Dare on Nickelodeon! More Nick: JoJo Siwa Unveils First-Look At Her New Nickelodeon Animated Digital Series 'The JoJo & BowBow Show Show'! Follow NickALive! on Twitter, Tumblr, Google+, via RSS, on Instagram, and/or Facebook for the latest Nickelodeon at VidCon and The JoJo & BowBow Show Show News and Highlights! Nick put JoJo Siwa, Andre Meadows (Black Nerd), Adelaine Morin, Lisa and Lena, Max & Harvey, and MatPat to the test in the ultimate VidCon Tongue Twister Challenge! 🌪️ Which YouTube Star(s) do you think did the best? Let me know in the comments below! Catch more of your favorite shows on Nickelodeon! More Nick: Nickelodeon Unveils Comic-Con International: San Diego 2018 Plans! Kira Kosarin sits down for an intimate and personal interview with… herself! Be sure to watch to the end for a Bonus BTS clip of Kira (and Kira). Catch more of The Thundermans on Nickelodeon! Want more? Watch 🕶️Jack Griffo interview... Jack Griffo! Watch Kira Kosarin take on Olympian Lindsey Vonn in the brand-new Double Dare episode "Thunderstruck vs. Girl Power", premiering Friday 6th July 2018 at 8:00pm ET/PT, only on Nickelodeon USA! Though they both aim to win, only one team moves on to run the obstacle course! H/T: The Pear Source; Additional source: Zap2it TV Listings. More Nickelodeon: Nickelodeon USA's July 2018 Premiere Highlights! Buzz (Kyle Sullivan) and Kaffy (Lisa Foiles) are visited by a Fireman and Mrs. Nut-Hurst on Sugar & Coffee! Canta con Rubble, Marshall y tus peques la canción ‘Me Puedes Llamar’.¡Levanta las patas, vamos todos a aullar! Un hueso llevar, después de cavar. Y también ladrar "GUAU GUAU!" More Nick: Nickelodeon Releases New 'Dora's Worldwide Adventure' and 'Nick Football Champions' Apps Globally! Follow NickALive! on Twitter, Tumblr, Google+, via RSS, on Instagram, and/or Facebook for the latest Nick Jr. Latin America, Nickelodeon International and PAW Patrol News and Highlights! Meet Marshall, the clumsy yet always helpful member of the PAW Patrol gang! More Nick: Nick Jr. Adventure Centre Set To Tour The UK This Summer! The Merrell Twins are excited for the All New Double Dare! Are you?! Watch as Vanessa & Veronica Merrell give you the lowdown on how to make your own DIY Double Dare challenges in your backyard with your friends. Who knew throwing pies in giant pants could be so fun?! Catch All New Double Dare weeknights at 8/7c on Nickelodeon USA and check back in for more awesome DIY challenges with the Merrell twins! Happy Independence Day! DO check out this silly video on how to live it up this Fourth of July, DON’T miss your favorite shows only on Nickelodeon! What is your FAVORITE food to eat at a Fourth of July BBQ?! More Nick: Nickelodeon Announces Kids' Choice Sports 2018 Nominees; To Honor Danica Patrick With Legend Award! More Nick: Nickelodeon Launches Year-Round 'That's Me' Campaign! More Nick: Nickelodeon's 'Blue's Clues' Is Back, Remade For A New Generation Of Preschoolers! More Nick: Butch Hartman Kickstarting Oaxis Online Platform! Meer Nick: Nickelodeon Netherlands Announces 'Nickelodeon Familie Festival', a Brand-New Festival for Kids and Families! Arnold é a melhor pessoa, concorda? 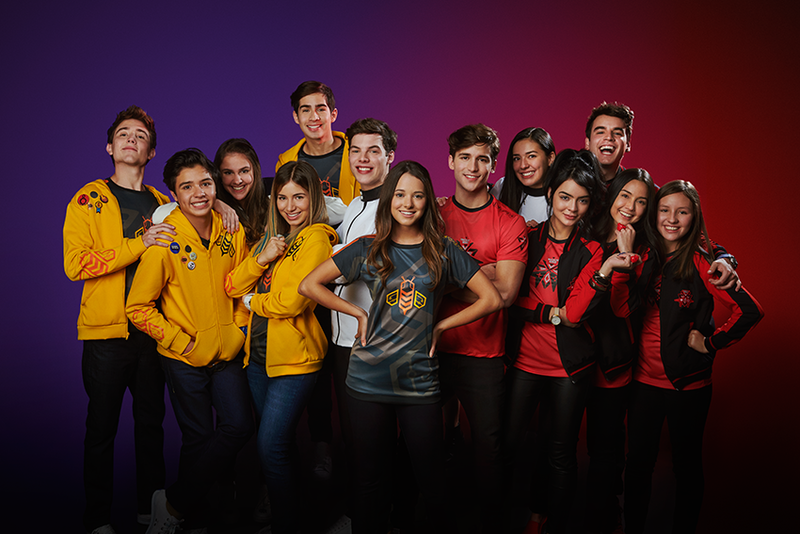 Mais Nick: Nickelodeon Brazil to Host Encontro de Patas 2018 on Sunday 22nd July 2018 at Parque Villa Lobos in São Paulo! Follow NickALive! on Twitter, Tumblr, Google+, via RSS, on Instagram, and/or Facebook for the latest Nickelodeon Brazil and Hey Arnold! : The Jungle Movie News and Highlights! Get set for some serious sweet sensations from Flo Rida with his performance of 'Sweet Sensations' straight from SlimeFest! Be sure to catch more of your favorite shows on Nick! What is your FAVORITE Flo Rida song?! 🎤﻿ Let me know in the comments! Turn up your music and be sure to play that music too loud when you watch Flo Rida’s performance of his song 'My House' straight from SlimeFest! Be sure to catch more of your favorite shows on Nickelodeon! More Nick: Liam Payne SlimeFest 2018 Playlist | Nickelodeon! Follow NickALive! on Twitter, Tumblr, Google+, via RSS, on Instagram, and/or Facebook for the latest Nickelodeon and SLIMEFEST News and Highlights! No need for an intro for this Slime Fest performer! Watch Liam Payne’s performance of his song 'Familiar' live from Slime Fest! Re-watch his performance here and be sure to catch more of your favorite shows on Nickelodeon! What is your favorite Liam Payne song? Let me know in the comments! One of the greatest things we’ve ever seen? Liam Payne’s performance of his song 'History' live from Slime Fest! Re-watch his performance here and be sure to catch more of your favorite shows on Nick! He’s now free from 1D and taking the stage by storm! Watch Liam Payne’s performance of 'Strip That Down' live from Slime Fest. Re-watch his performance here and be sure to catch more of your favorite shows on Nickelodeon! More Nick: JoJo Siwa SlimeFest 2018 Playlist 🎀 | Nickelodeon! What Does it Take To Be A Hero? Check out Massive Monster Mayhem's new VLOG "Hear From a Hero" with Nicole! Catch brand-new episodes of Massive Monster Mayhem Saturdays at 8am ET/PT on Nicktoons USA! While Pedro naps, Becca turns his bed into a go-kart; the Bunch couldn't be a winning team without him! Follow NickALive! on Twitter, Tumblr, Google+, via RSS, on Instagram, and/or Facebook for the latest Nick Jr. UK, Nickelodeon Preschool and Becca's Bunch News and Highlights! More Nick: Nickelodeon Acquires International Broadcast Rights For Rainbow's '44 Cats'! Are you looking forward to I Am Frankie season 2? Let me know in the comments below! I Am Frankie season two is set to premiere later this year, only on Nick! Make sure to catch I Am Frankie season two, coming soon to Nickelodeon! Visit nick.com and the Nick App to watch more I Am Frankie videos! To celebrate Nickelodeon USA premiering the brand-new Nicky, Ricky, Dicky & Dawn season four episode "Quadcodile Dundee" on Saturday 30th June 2018 at 8:00pm ET/PT, Nick USA has unveiled a quad-tastic sneak peek preview from the all-new NRDD episode, which you can watch in the fantastic video clip here on nick.com and on the Nick App! In the brand-new Nicky, Ricky, Dicky & Dawn episode "Quadcodile Dundee" (#411), the quads are taught a lesson by Tom (Brian Stepanek) and Anne (Allison Munn) when they are forced to wait in line like everyone else when Isaiah Thomas comes to the store to sign his new shoes. Guest starring Isaiah Thomas with his two sons, James and Jaiden. In Nick's super sneak-peek, "Boomerang Time", Dawn's (Lizzy Greene) boomerang shot did NOT end well! To celebrate Nickelodeon USA premiering the brand-new Star Falls episode "The Co-Star" on Saturday 30th June 2018 at 8:30pm ET/PT, Nick USA has unveiled a super sneak peek preview from the all-new episode of Star Falls, which you can watch in the fantastic video clip here on nick.com and on the Nick App! In the brand-new Star Falls episode "The Co-Star" (#111), when the girls find out Craig's new co-star might have designs on him, they have to get her out of the picture, and force Craig (Dion Johnstone) and Beth (Elena V. Wolfe) to admit their feelings for each other. In Nick's super sneak-peek, "The Cynthia Problem", the girls both have big news...Cynthia Jones is coming to town! Originally published: Thursday, June 28, 2018. ¡No Voy a Cambiar es el himno de Kally´s Mashup! ¡Aprende la letra completa y canta con nosotros! ¡Checa todos con nuestros lyric videos exclusivos! Más Nick: Nickelodeon Latin America Announces Kids' Choice Awards Argentina 2018 Pre-Vote Nominees! Pero si lo intento lo lograré! Pero si lo intento lo lograre! Más Nick: Nickelodeon Releases New 'Dora's Worldwide Adventure' and 'Nick Football Champions' Apps Globally! Follow NickALive! on Twitter, Tumblr, Google+, via RSS, on Instagram, and/or Facebook for the latest Nick Jr. Latin America, Nickelodeon International and Nella the Princess Knight News and Highlights! Get ready for more laughter in brand-new episodes of Game Shakers, Fridays at 6:30pm from Friday 29th June 2018, only on Nickelodeon UK & Ireland! Following each episodes debut, Nick UK & Eire will encore each all-new episode the same night at 10:00pm. More Nick: Nickelodeon UK & Paramount To Release 'Hey Arnold! The Jungle Movie' On DVD On Monday 13th August 2018! 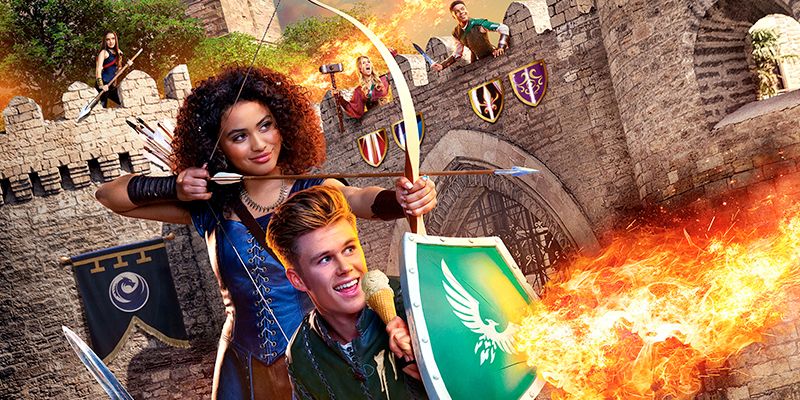 Nickelodeon Russia (Россия) will premiere Knight Squad, Nickelodeon's newest live action comedy series, on Saturday 21st July 2018! Set at a magical school for knights in training, where two mismatched students form an unlikely alliance to protect each other's secret and pursue their dreams, new episodes of Knight Squad, locally titled Команда Рыцарей, will continue to air regularly on Nickelodeon Россия. "В волшебной Астории существует лишь одно место, где молодые и бестрашные воины могут стать рыцарями – легендарная Школа рыцарей! Познакомься с отважной Сиарой, звездой школы, которая скрывает большой секрет – на самом деле она принцесса! И когда в школе появляется Арк, самодовольный юноша, окружённый тайнами, Сиаре угрожает разоблачение. Ей предстоит подружиться с новичком, ведь теперь они одна команда, и вместе со своими друзьями они сражаются за честь представить Асторию в грядущей битве." Online at nickelodeon.ru, fans can find out more about the show. Knight Squad stars Owen Joyner (100 шагов: успеть до старших классов) as "Arc," ("Арка"); Daniella Perkins (Legendary Dudas, Болтун!) 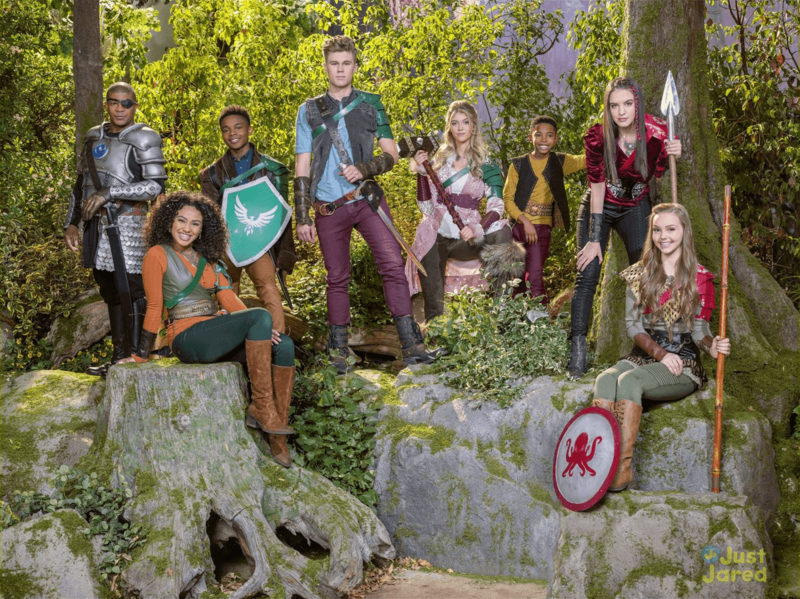 as "Ciara," ("Сиару"); Amarr M. Wooten (American Housewife) as "Warwick," Lexi DiBenedetto (Modern Family) as "Prudence," Lilimar (Bella and the Bulldogs) as "Sage", Kelly Perine (Santa Hunters) as "Sir Gareth"; and Seth Carr as "Fizzwick". Guest stars include: Грозная семейка stars Maya Le Clark, Kira Kosarin and Jack Griffo as Brea, Sir Swayze and Kiki the Genie, respectively; Никки, Рикки, Дикки и Дон star Lizzy Greene; Tenzing Norgay Trainor as "Jimbo"; and Maria Canals-Barrera (Danny Phantom, The Brothers Garcia) as Saffron. In additional news, to celebrate the theatrical release of the brand-new Monster High movie Монстры на каникулах 3: Море зовёт in cinemas, Nickelodeon Россия has launched a all-new competition, in which a lucky winner can a holiday to MOTIONGATE™ Dubai! Visit http://monstry.nickelodeon.ru for more details and to enter the contest! Больше Nick: June 2018 on Nickelodeon Russia | Blurt! | Henry Danger S4 | Game Shakers S3 | SpongeBob | Regal Academy S2 + More! Follow NickALive! on Twitter, Tumblr, Google+, via RSS, on Instagram, and/or Facebook for the latest Nickelodeon Russia and Knight Squad News and Highlights! In Nickelodeon Latin America's (Latinoamérica) brand-new original eSports-themed scripted series N00bees, viewers will experience the digital world like never before! Shot in Colombia, the country that gave fans mega hits such as Yo Soy Franky and Chica Vampiro, comes a brand-new show featuring elements that are sure to blow viewer's minds: competitions, adventures, friendship, sports, love and great guests - all set in the world of eSports! You know what the best thing about this new Nick Show is? Fan's at home can join the experience like never before! 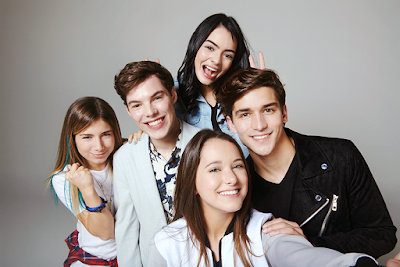 Leading up to the debut of N00bees later this year, Nickelodeon Latinoamérica launching a brand-new live stream series on Mixer, a next-generation live streaming platform for gamers that lets viewers participate in the gameplay itself! 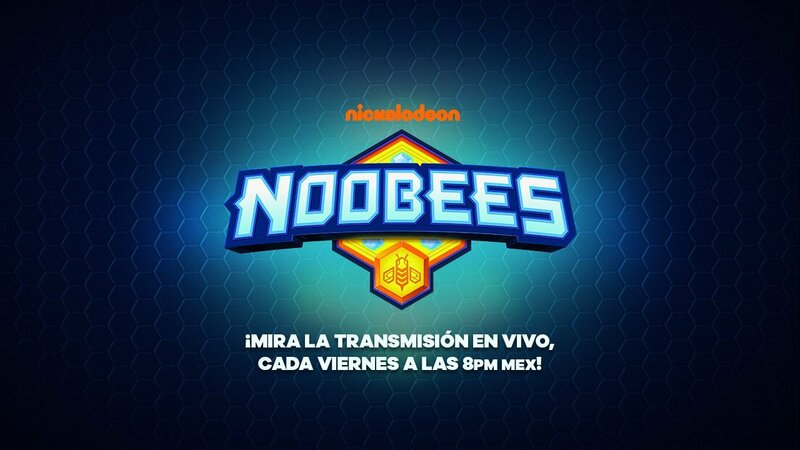 Broadcast every Friday at 8:00pm MEX from 29th June 2018, fans can log onto Nickelodeon's N00bees Mixer channel and immerse themselves in the show! Fans will be able to influence in real time what's happening on their screen, and participate in the livestream! - Once there, they'll be ready to participate in this awesome digital experience! N00bees is the Nickelodeon's first-ever gaming series, co-produced with Mediapro, and will bring fans closer to the world of video games. The show began filming in Bogotá, Colombia in May 2018, and is set to air on Nickelodeon Latinoamérica in the fall. The series, featuring 60 1-hour episodes, will also run on the free-to-air (FTA) network RCN in Colombia later this year. The Spanish language series will also be adapted to Portuguese for Nick viewers in Brazil (Brasil). N00Bees, whose title denotes a person who is new at playing an online game and/or is bad at it, follows Silvia, her brother Erick and their friends Tania, Pablo and Niko. Silvia has never been interested in video games. She has always preferred the outdoors and playing her favorite sport basketball. She is the opposite of her father, Hector, and her brother - for them video games is everything! When Erick is presented with the unique opportunity of participating in the E-Sports Championship, his greatest dream, Silvia does everything possible to help him achieve it, even if it means becoming a professional gamer. 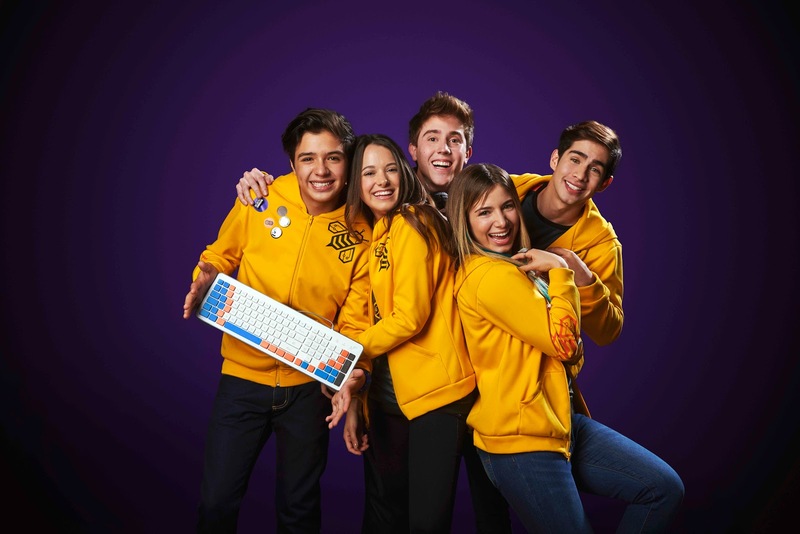 Silvia and Erick along with their friends create N00Bees - an E-sports team that will compete for the title at the Professional Video Games League. But the task will not be easy. Besides dealing with all the usual problems associated with growing up, Silvia will have to learn how to play video games while competing against David, the best player in the region and with whom she'll fall in love. What nobody knows is that something will happen to Silvia that will make her gain some incredible powers allowing her to control the way she plays videogames, and this will be epic! All this will unleash all kinds of adventures and moments that fans CANNOT miss! N00Bees is created by Enrique Pérez from Mediapro Group’s production company 100Balas. N00bees was recently by presented by World Information Tracking (THE WITS) at the “Fresh TV Kids Live-Action Scripted Series” conference at MIPTV in Cannes, as original audiovisual content which has possibilities to generate new trends in children's fiction in the international market place. THE WITS is a UK-based consulting firm that seeks the most promising content trends, insights and new ideas for TV and digital programming worldwide.